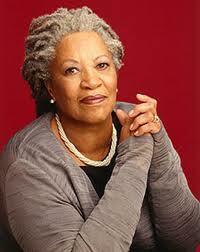 Toni Morrison and Bob Dylan have been named as two of 13 recipients of the Presidential Medal of Freedom. In a statement from the White House last Thursday, President Obama said, “These extraordinary honorees come from different backgrounds and different walks of life, but each of them has made a lasting contribution to the life of our Nation. They’ve challenged us, they’ve inspired us, and they’ve made the world a better place. I look forward to recognizing them with this award.” The honorees will be awarded and celebrated in a White House ceremony in the late spring. 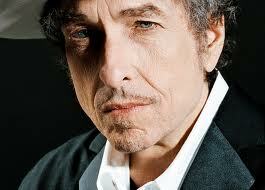 In praising Dylan’s five decades of music, the White House noted his “considerable influence on the civil rights movement of the 1960s,” and highlighted his 11 Grammys, including a lifetime achievement award and his 2009 National Medal of Arts. Are Curators the Gandalfs of the Art World? It’s spring semester finals time here at MICA and in recent weeks, I have seen a number of student and faculty exhibitions. I walk into my office building and I’m immediately surrounded by inspiration. I marvel at the careful assembly and placement of artwork; I’m impressed by these imaginative shows designed to take a viewer on a journey. 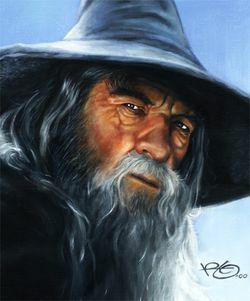 Curators of exhibitions are like Gandalf from J.R.R. Tolkien’s Lord of the Rings. Gandalf created a fellowship out of a diverse band of characters from various lands in Middle-Earth and set them on a journey. The journey ended badly for a few (Boromir, Gandalf the Grey) but in the end, the plan that was set in motion by Gandalf the “Curator” truly initiated some real change in Middle-Earth. community art. Featured curators include Anita Durst, Maiza Hixson, Hannah Brancato, Rebecca Nagle and Adam Void. Do you believe curators the Gandalfs of the art world? Is this how we provoke real dialogue about change? Who is allowed to go on the journey? Who is forced into the journey just by the nature of where the curating takes place? Is provoking an idea the same as creating change? Add your voice to mix. Does Art REALLY Create Justice? Earlier this month, MICA hosted a lecture/discussion titled Art as a Tool for Change. I presented the Baltimore Art + Justice Project to an audience of students, researchers, artists and community members. Dr. Mark Stern of the Social Impact of the Arts Project (SIAP) at the University of Pennsylvania’s School of Social Policy and Practice demonstrated how an investment in art can transform the economy of a city. Jeffery Cudlin and Gerald Ross, instructors of MICA’s Masters in Curatorial Practice, explained how they and their students are using art to transform and build community in non-traditional spaces, and Rebecca Yenawine, Executive Director of New Lens, illustrated the impact of art on the hopes, dreams and health of young people in Baltimore. Do you believe art can change the face of Baltimore? Can we build a stronger Baltimore through art? What are the challenges? What are our collective strengths? Leave your comments. Last night, I sat in the city council chamber with seven students from Barclay elementary- middle school. We were there to testify to the city council to pass the bottle tax bill that will create a dedicated stream of funding for school construction projects. Over the past four months, the students have been creating drawings and 3D models depicting how they want their school to look. Two students stood before the city council members for the first time and shared their vision for their school. Is this art for social justice? When I am working with students and parents to articulate their dreams for our city, I am an artist who chooses to use my creative skills to act on pressing issues that affect the quality of life for both my family and all Baltimore families. Not the city of Baltimore, because it continues to cut after-school programming, which is the source of most of my part-time salary. Additionally, the Mayor continues to fund new downtown building projects and car races while closing recreation centers and pools where many community arts programs occur. I believe the artists who are actively involved in community building and social justice work are keeping this city alive. The A + J project is working hard to highlight and facilitate community and artist connections. It is time that corporate leaders, foundations and politicians value the artists who are creating a better Baltimore. One of the most pressing questions facing the Baltimore Art + Justice Project is: what is the role of the arts in driving social change? Whether through music, plays, graphics, paintings, songs, films, media, architecture, textiles, jewelry, photography, poetry, sculpture, pottery, landscapes, written word, spoken word, or dance, art is powerful…For art is the intellectual underpinning of social change; nowhere is there more potential and more need for art than here and now. 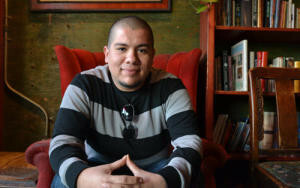 Martinez asserts that while government bears the principal responsibility for ensuring that residents are healthy and safe, art plays a vital role by raising awareness, encouraging participation, and reducing the barriers of misunderstanding and mistrust that too often divide decision-makers with institutionalized political and economic power from community members who are most directly affected by social problems. 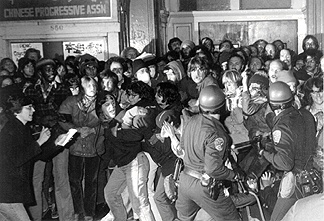 She cites several instances in which artists have helped to shape public debates in San Francisco. For example, in 1972, an Asian-American arts collective produced posters, murals, and publications to protest the eviction of older adult Filipino and Chinese residents from a low-income residential hotel. 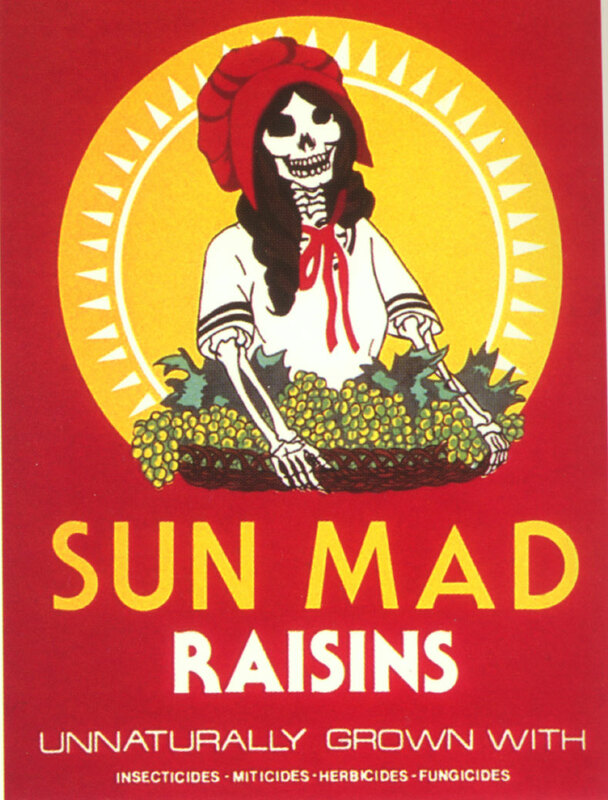 A decade later, artist Ester Hernandez produced a satirical advertisement for “Sun Mad Raisins” in order to draw attention to the public health consequences of pesticide overuse by California’s raisin industry. Baltimore has a long history of residents organizing to improve conditions in their communities. It also has an impressive, if less well known, history of local artists using their work to take on the social problems of the day. Do you have any examples of ways in which the arts have been used to challenge the status quo, reduce disparities, or advocate for positive change? Please share your stories in the comments section or via email. Greetings! 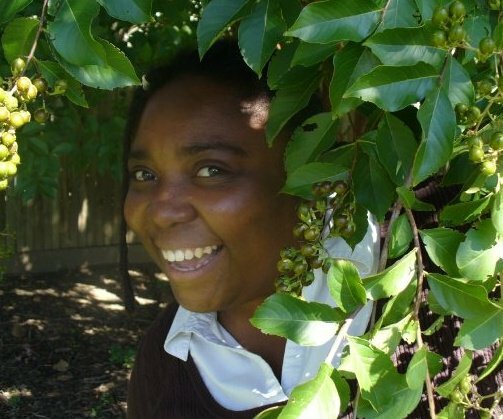 I’m Kalima Young, the project coordinator for the Baltimore Art + Justice Project. I’m a Baltimore native, a researcher, an activist, a lecturer and a filmmaker. I love discovering this city’s community assets and resources. I enjoy bringing people together to work toward strengthening Baltimore, and I’m excited about my role in melding transformative art with ongoing community work toward solidarity and equality. 1) Baltimore has as much beauty, energy and innovation as it has poverty, public health crises and crime. b. really believe in it. 3) Everyone disagrees about what makes an artist a ‘Community Artist’. 4) There is an awful lot of talking about the challenges in Baltimore but we all find it hard to figure out concrete solutions. 5) There are many amazing artistic endeavors happening across this city but people have trouble leaving their own neighborhoods and “communities” to see them all. Can we harness the energy of this vibrant, quirky, eclectic artist/designer landscape to empower this city? Can we acknowledge racial and class barriers in Baltimore’s arts world so we can start creating real solutions? Can we more deeply engage advocates in their understanding of art as a tool for justice?